Sailing with your gulet in the Mediterranean sea has allure and at the same time, it gives us that enormous feeling of freedom! 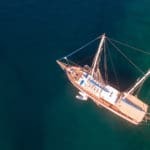 Islets, Islands, bay’s en Islands that nobody has seen before, bay’s with turquoise colored water, that nobody has swum in before…this astonishing feeling you can only get when you cruise by gulet, an original Turkish vessel. The look of a gulet, even the smell of a gulet, you will never forget! Call it romantic, call it adventureous and exciting or simply bliss; there is something about sailing on board a gulet charter that makes it all the more special to be in the Mediterranean sea. Destinations in the many, boasting with historical treasures and interesting places, delicious cuisine, warm and friendly hospitality, water fun activites and pure relaxation combined – what more can one ask for really. If it’s peace and quiet or fun-filled activities, both families and friends can get-a-way and take their minds off ‘real-life’ for one whole week. Then return home feeling refreshed and ready to tackle the daily routines of life again. 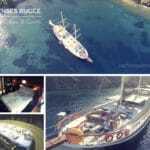 Luxury gulet charters are available in the hundreds. 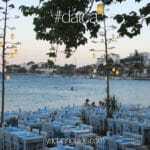 Finding the Turkish gulet that best suits your expectations shouldn’t be difficult. 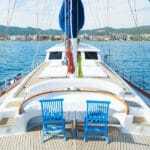 While each gulet is different from the next, so are the travelers who sail on them. Matching up the boat with the group is about considering your holiday requirements and budget with the gulet that fits both. Thoughtfully searched, planned and organized may put all the right ingredients together for a successful private gulet charter holiday.